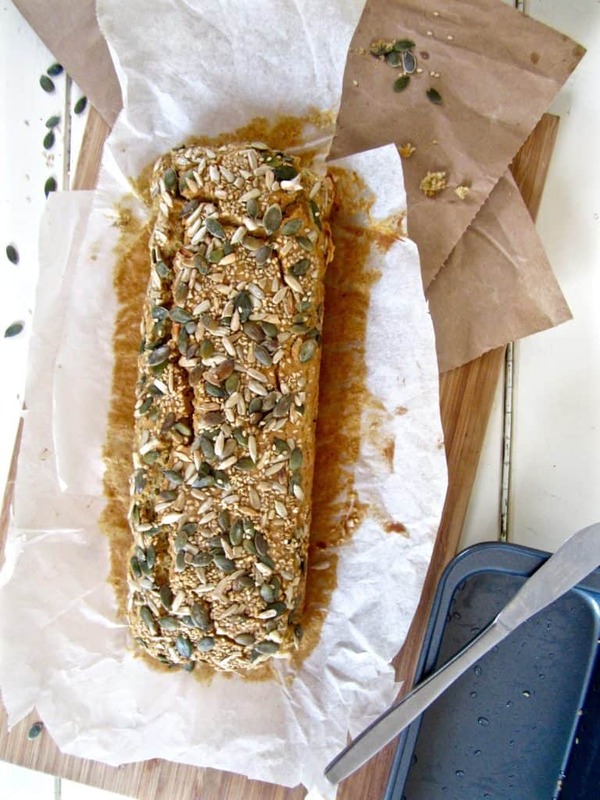 This is a great go-to, everyday type of bread, ideal for breakfast, lunch or snacking. It’s moist on the inside and the seed topping adds a crunchy, toasted flavor on the outside. While it can get a little crumbly, on the whole it stays together quite nicely. This recipe is soy free, nut free and refined sugar free! Each slice has approximately 3 grams of protein. Eat your hearty 5 seed bread plain, toasted or untoasted, smeared with nut butter, jelly, a slab of vegan butter or any other spreads or dips you can imagine! The original recipe called for 1 teaspoon of xanthan gum (in place of the chia seeds in this recipe), which may add a bit more elasticity to the bread. I didn’t have any on hand and don’t use xanthan gum often, so just added a ‘chia egg’ (chia + water) instead and liked the result. What are your thoughts on regular vs. silicon baking pans? I love cooking muffins and cupcakes in these silicon muffin pans (see my Chocolate Beet Brownie Cakes with Coconut Cream), so have been considering buying this silicon bread pan too. I’d be curious to hear your thoughts or recommendations below in the comments! 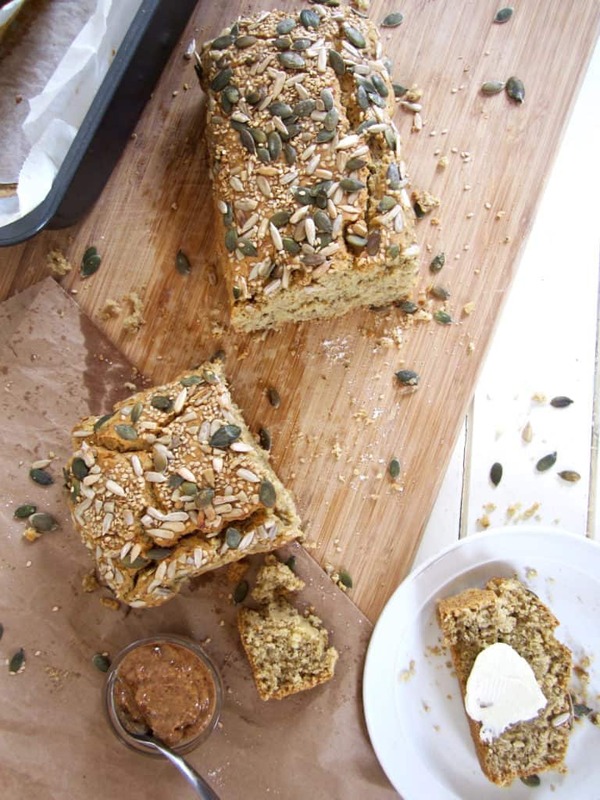 This is a great go-to, everyday type of bread - ideal for breakfast, lunch or snacking. It’s moist on the inside and the seed topping adds a crunchy, toasted flavor on the outside. Combine chia, flax and water into a small bowl and set aside. Let sit for minimum 10 minutes. In a medium mixing bowl, combine the wet ingredients, adding the flax/chia mixture last. Pour the batter into a loaf pan. You can use parchment paper, grease the pan with oil or use a nonstick silicon bread pan. Bake at 375 degrees for 40 minutes. I baked this in a toaster oven and it was complete at 40 minutes, but it may need up to 50 minutes in a regular oven. Let cool for at least 10 minutes before removing from the pan. 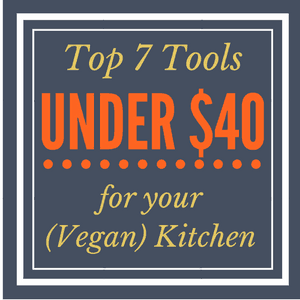 Top with vegan butter, nut butter, jellies, or other dips and spreads! Slightly adapted from I Can't Eat What? You could make 2 mini loaves or a dozen muffins instead of 1 large loaf. I have yet to test these adaptations but imagine they’d work fine. For millet flour, you can substitute buckwheat or possibly even almond flour (have not tested almond). For maple syrup, you can substitute agave or coconut blossom. In place or in addition to the seed topping, you could add crushed nuts. I'm in Heaven, this is delicious. I did make a few changes...I do not like sweetness to my bread, so I excluded the maple syrup, and replaced with water, so it still makes a dough texture. I used brown rice flour instead of millet and added a tbsp of psyllium husks. Next time I will double the batch, as it came out as half a regular loaf for me. 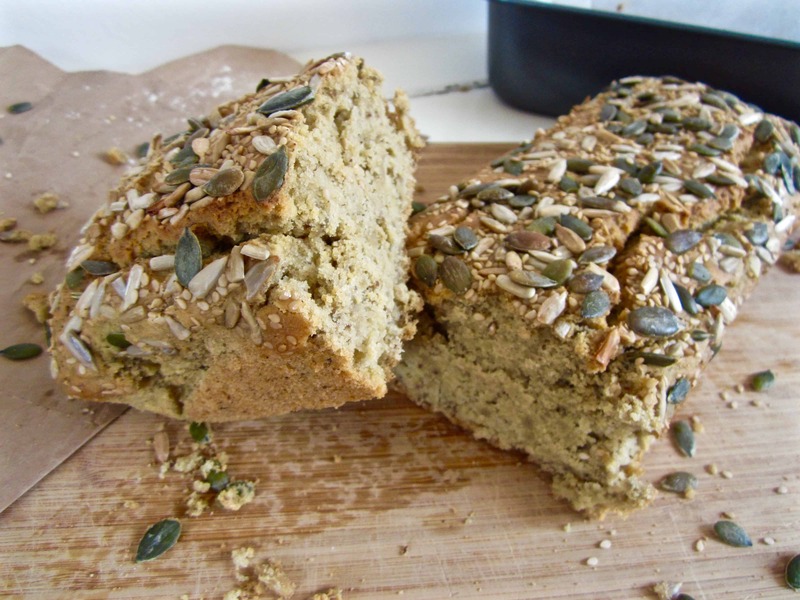 Thank you, I had given up on making my own vegan, gluten free bread and stumbled upon this post and the recipe seemed so easy, I had to try it. To answer your question on pans, I use a nonstick one, it works perfectly, the bread came off easily. Also, I included the seeds in the dough, not on top of it, next time I will do the opposite. Thanks again! Made this for XMas dinner for the GF peeps (self included). It was such a hit that my uncle asked for the recipe! Ate it with pumpkin ginger soup and a salad. Delicious! Thanks! !